The Raleigh “Militis 3″ proved – yet again – to be a fantastic all-around performing bike for the Aetna Cycling Team p/b The CCAP. The team raced the the three-day “Tour of The Catskills,” bringing John Harris, Ryan Serbel, Dan Caridi, David Hoyle, Aidan Charles, and Austin Vincent (guest rider) along for the journey to the Catskill region of New York. Stage one was a flat 12 mile time trial that saw Harris and Serbel finish with good times and in a position to finish in the top ten of the general classification (GC) over the next two stages. Stage two was an 89 mile ride over three mountains and 9,000 feet of elevation gain. The pace lifted on the second climb of the day and the peloton splintered. Harris and Serbel rode strong to maintain position in the front group and prepare for the final climb. 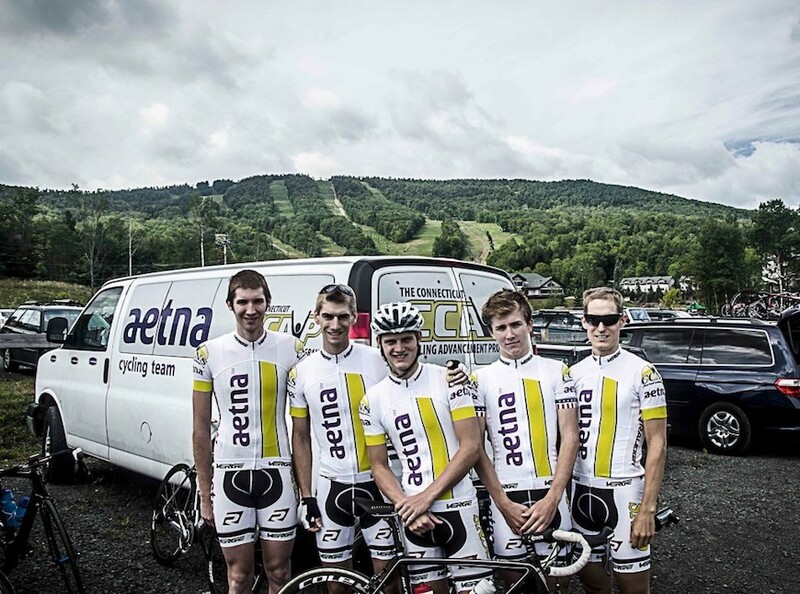 Both Aetna riders gutted out the climb to finish in a select group. When the dust settled, they had both broken into the top-15 in the GC. The plan was to send Harris or Serbel off in an early breakaway so that the other contenders would have to chase. The plan was executed well from the first mile when Charles and Harris forced a breakaway group of seven riders. Charles worked relentlessly for Harris all day and set him up with almost a two minute gap over the main field by the approach to Devil’s Kitchen. Despite being caught by some of the race’s pure climbers, Harris finished an excellent 10th place on the stage. His hard work and guts earned him 7th place in the GC, repaying his teammates for their phenomenal and consistent riding in the previous stages.